If you do not believe it, download this game and see how anger is our fish, you just have to see its face! The price of shrimps and snails is very high, and besides the bank has increased the mortgage of its little coral cave, how bad is the sea! 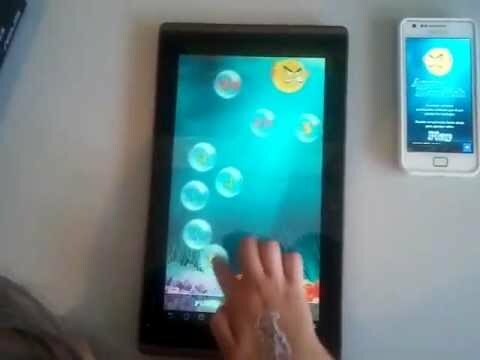 The purpose of this game is to get the highest score, trying the blowfish not to blow the bubbles up. You can avoid the blowfish dragging the bubbles way down the exact distance to delay their ascent, so the blowfish does not blow them up. If the bubble gets to the top, you add the points indicated. Each color has a value, but each change in the original ascent, involves the loss of points. Attention to the red bubbles because they are negatives! If the blowfish explodes a red bubble, you will lose the points indicated. You will have a lot of fun with this game and try to make the world record!